On a ten day tour of Israel, words like Gaza, Golan, and the West Bank were everywhere. Though relevant, it can be exhausting to wrap one’s heard around the centuries old conflict. Stepping off the bus in Tel Aviv, I opted not to enjoy a tasty Shawarma sandwich and went straight to find some Israelis I could more personally relate to. 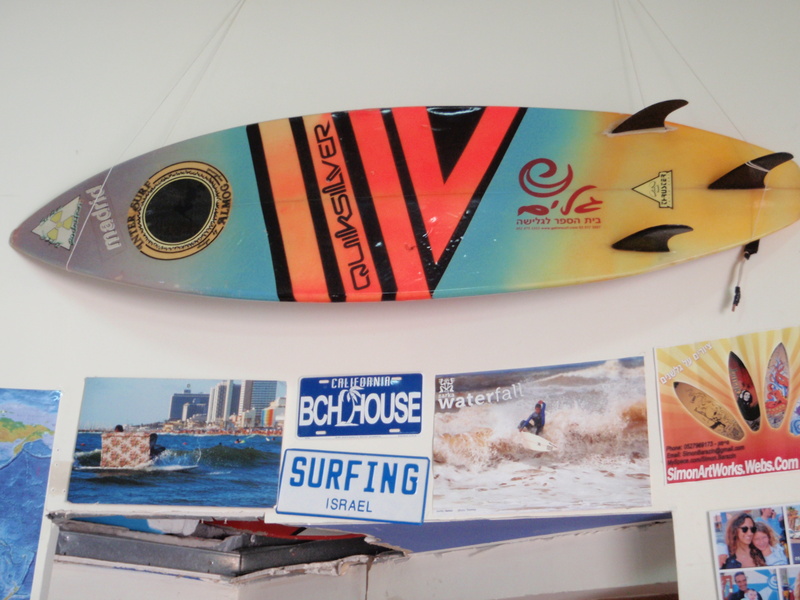 It was easy to find Galim Surf School , looking over the jetty and few small waves. We enjoyed a muddy Turkish coffee, and for a moment, I wasn’t in Israel anymore, I was just at the beach. I love this Andrew! The woman at the surf school seems so sweet and open. This makes me want to go back to Israel and find me some surf. Plus… it is really flat here.